Good evening, everyone. Welcome to the 1st Annual Awards! 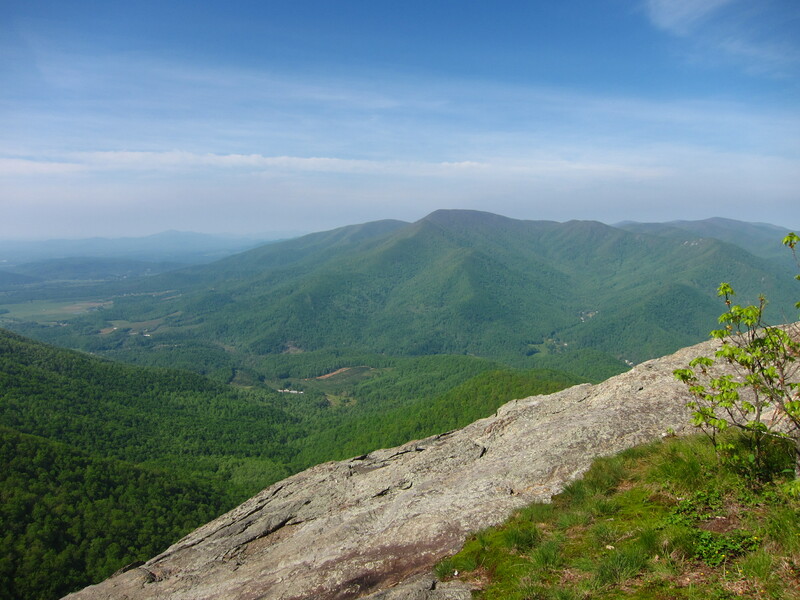 Tonight, we will be presenting awards to the “Best of the Best” on the Appalachian Trail. Miles to Go and I had much time to deliberate and discuss our monthly overviews from the trail and decide on our favorite state, favorite mountain, best trail town, and so on. So, sit back, relax, and enjoy the show. We apologize for not having a mind-blowing and entertaining opening number for you all, but due to budget constraints as a first-year production, we had to make some cuts. We’ll start off with a few facts before we get to the main awards section of the night. MONTH 3 wins a few awards this year. We did the most miles that month and of course also the highest percentage of the trail completed and average mileage per day. Interestingly enough, we also took the most ZERO days during the third month of our thru-hike. 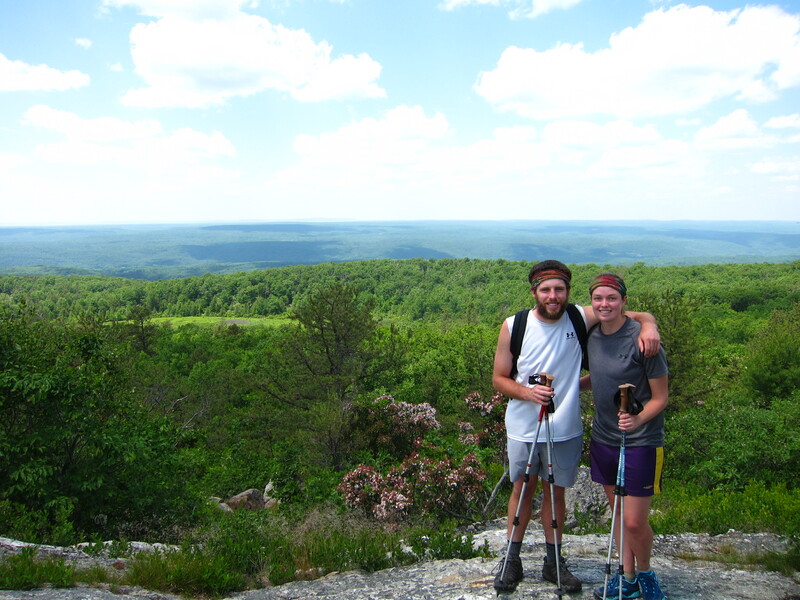 In that month, we hiked from just south of Three Ridges Mountain in Virginia to Sunrise Mountain in New Jersey. Let’s compare the numbers. SPECIAL MENTION: Our longest mileage day was 26.1 miles on June 5 from Boiling Springs, PA to Duncannon, PA.
Let’s move on to the individual “Day” Awards. 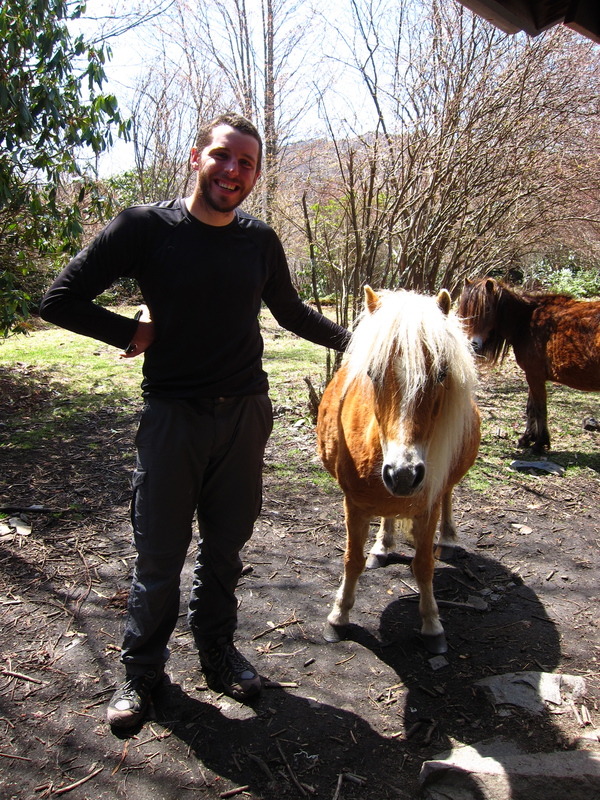 Ponies arrived to help us celebrate 500 miles! 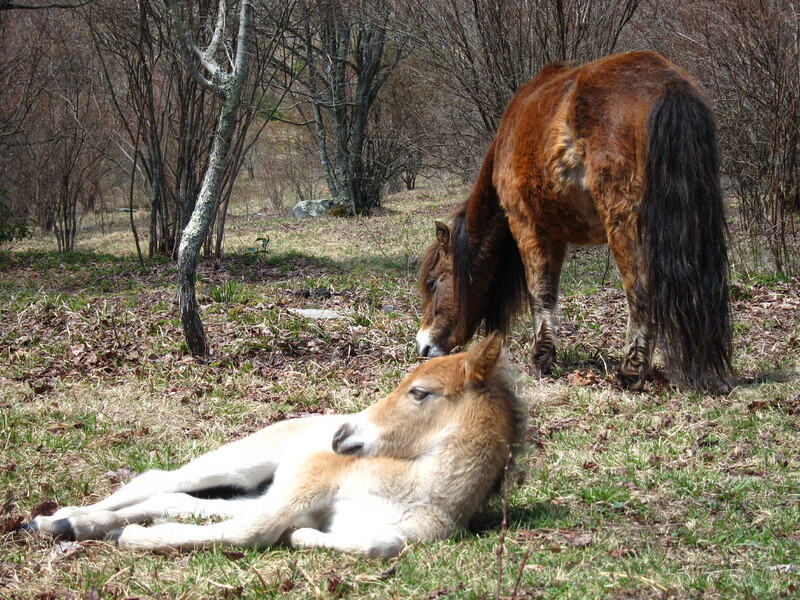 One of my favorite moments on our hike. As we entered Maine we came upon a beautiful sunset. The night before our most difficult day of hiking. 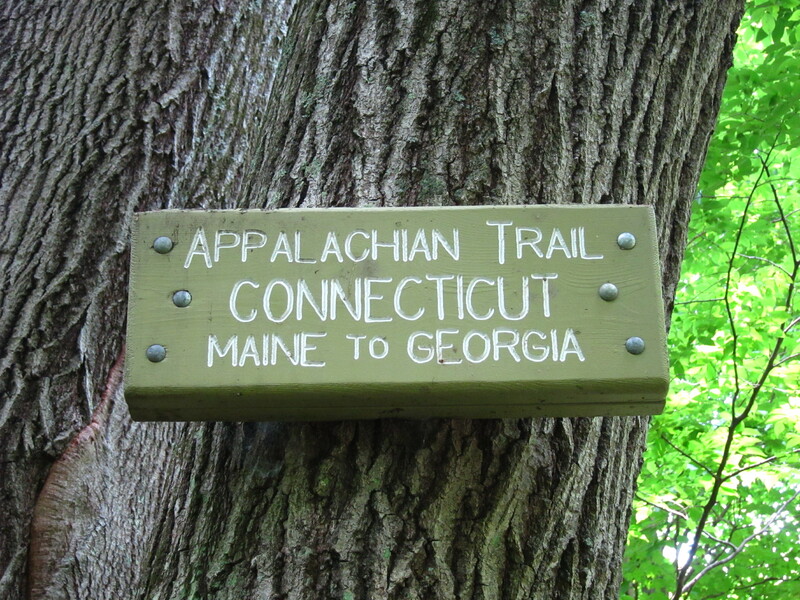 Connecticut: our low-point on the trail. 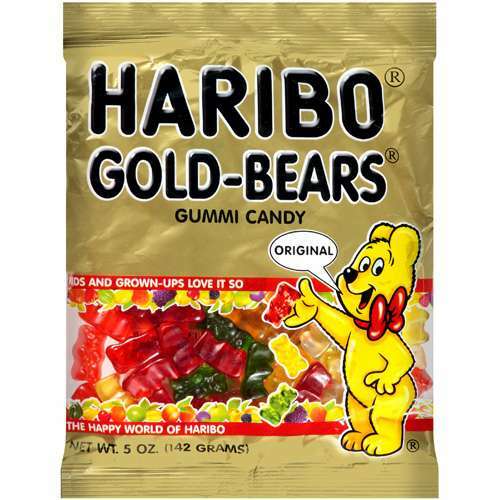 Flash Gordon: Gummi Bears. Although they weren’t as enticing near the end of the trail, they remained a true and tried trail food when I needed to add a little fruity flavor to my diet. Starburst came in a close second. 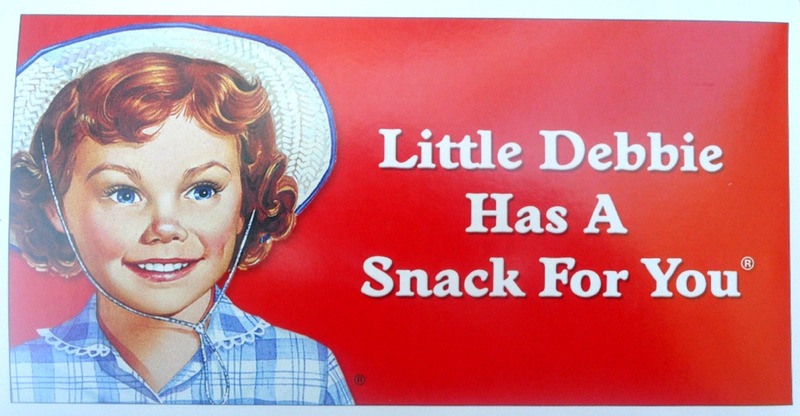 Miles to Go: Little Debbies. Hands down. Top 3 LD faves: oatmeal creme pies, honey buns, and apple danishes. We did the math and it’s safe to say that Miles to Go consumed over 1,000 Little Debbies over the course of our thru-hike! 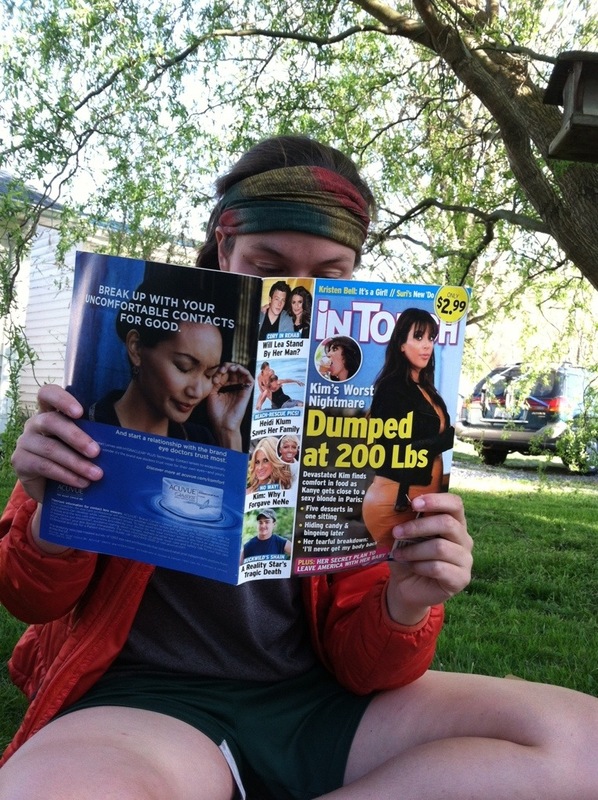 Yes she does. Thousands of them. Miles kept a tally of our wildlife sightings. What did we see the most of on the AT? Squirrels, chipmunks, and newts. It was cicada season this year as well. While we may not have seen all of them, they would win if this was based on noise alone. 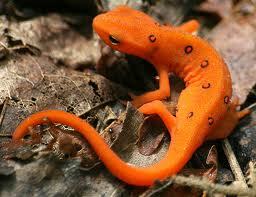 We saw tons of newts. It was tough to narrow down to just five names, but here are our favorites from the AT. In order of appearance, from south to north, the winners. If this trail was indeed named after a “chunky gal,” then there must be a pretty good reason as to why she has an entire trail named after her. 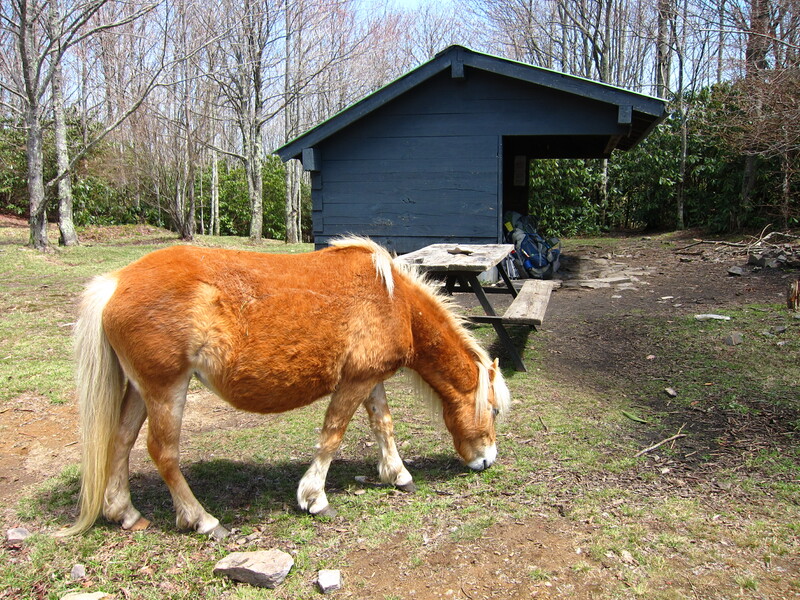 Brushy was a favorite of ours, not only because she showed up more than a few times along the trail, but because we also wrote a song that carries a tune so unforgettable, it will always remain a favorite. Named after one of the most famous bands in the world, yes. Also, the least enticing name for a water source that I’ve ever heard. We didn’t want metal in our drinking water, so we moved on to the next source. I’m sorry, but I want to know who thought that this was a good idea for a stream. Regardless, everyone had a good chuckle over it. 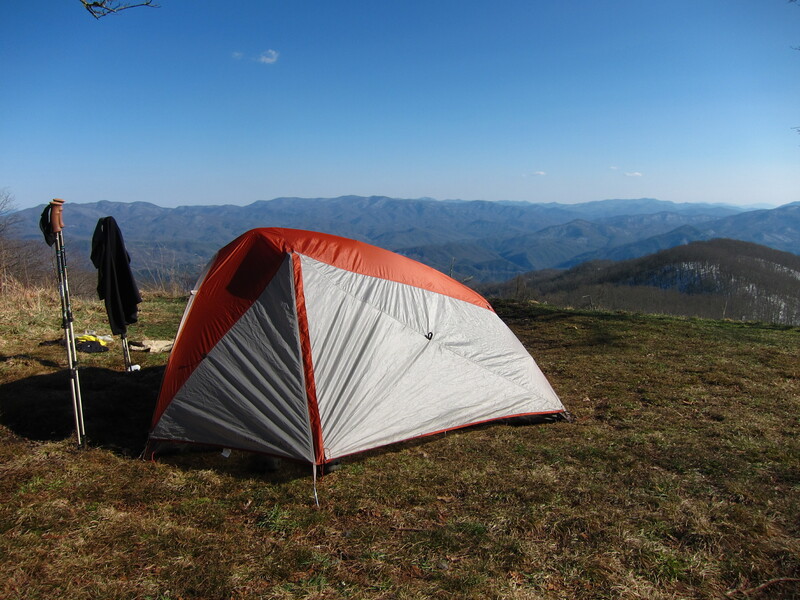 FAVORITE CAMPING SPOT: Cheoah Bald, North Carolina. We had the bald all to our selves on a beautiful, clear night. You may think that we would have chosen the Fontana Hilton just outside of the Smokies, but as awesome as that shelter was, I have to go with Bryant Ridge for several reasons. First off, it was actually in the woods, which the Hilton is not. 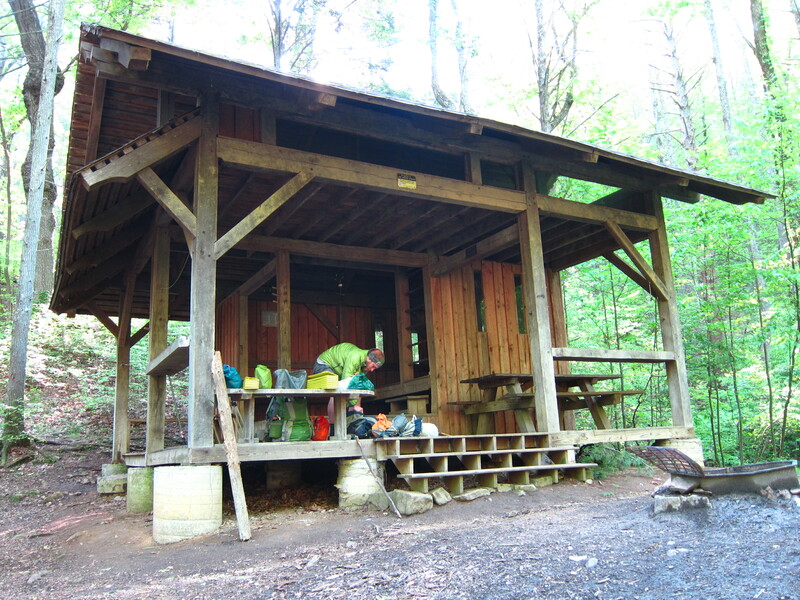 The design allowed for several hikers to sleep in comfort, plenty of space to hang wet gear, a covered picnic table, and plenty of benches to sit on inside. I think this winner can speak for itself. Our winner, by a landslide. We loved Damascus. Not only because of the wonderful Hikers Inn, variety of breakfast choices, happy hour at the Blue Blaze Cafe, and the close proximity of everything, but for one other reason. When you reach Damascus, you’ve just crossed into Virginia. 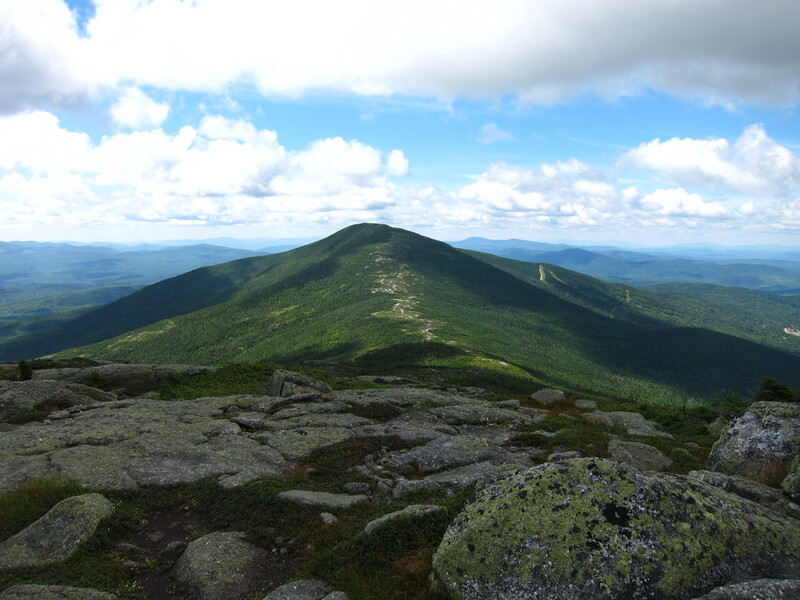 You’ve hiked through three states and you’re approaching the 500 mile mark. We were happy to be there and so was everyone else. 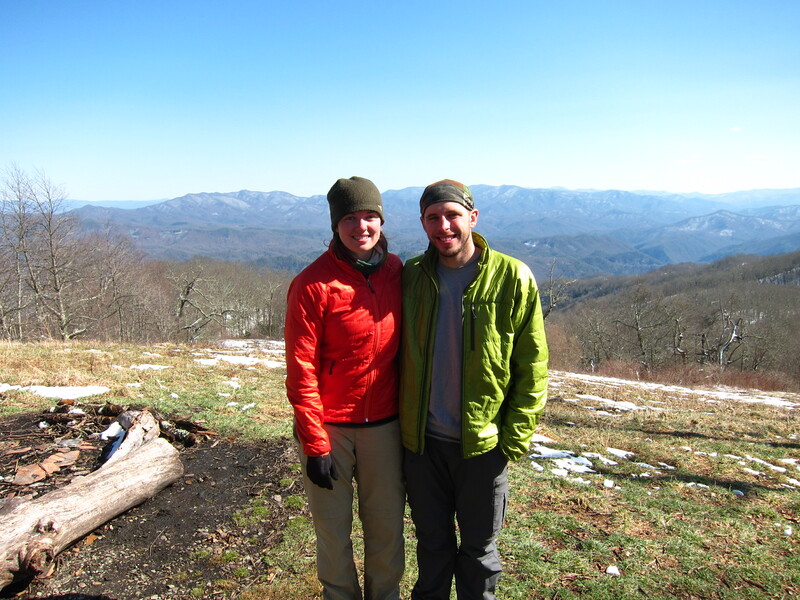 We saw so many thru-hikers there; people we had we hadn’t seen since Hot Springs and others we met for the first time. For the two days that we were there, we all hung out all over town: in the laundromat, the Blue Blaze, the inn, and under the bridge. We felt like real hikers and while not everyone would make it, at that point we had made it far enough really understand that we were all connected now by our determination to make it that far. 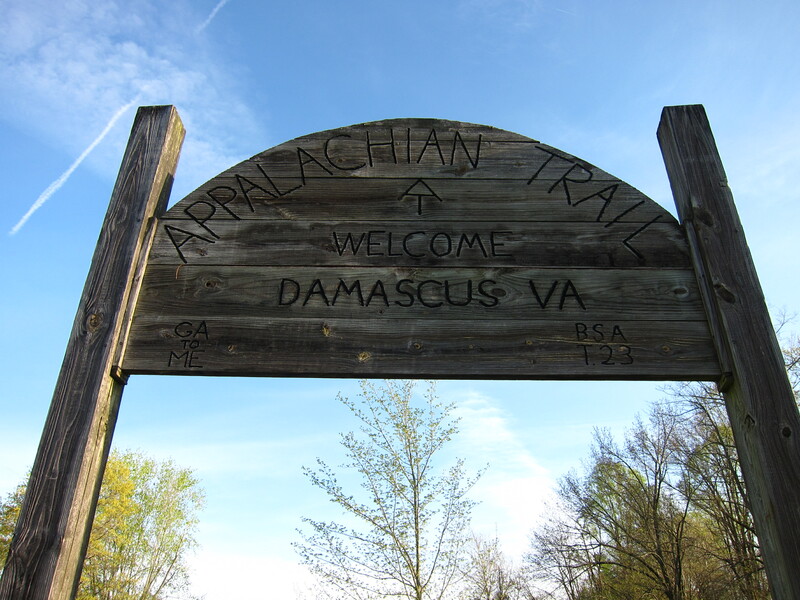 As much as I loved Damascus as a town, it was the point that other thru-hikers weren’t just people we saw on the trail. They were now our friends. Just a little light reading in Damascus. This was an easy one for us to choose. 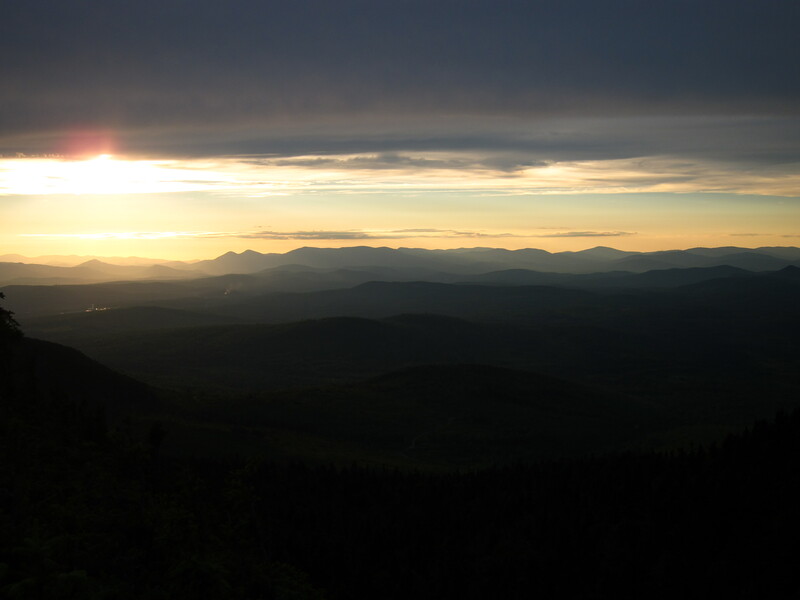 We had heard from the majority of past thru-hikers that Maine was their favorite state and we knew of course how beautiful it is here. 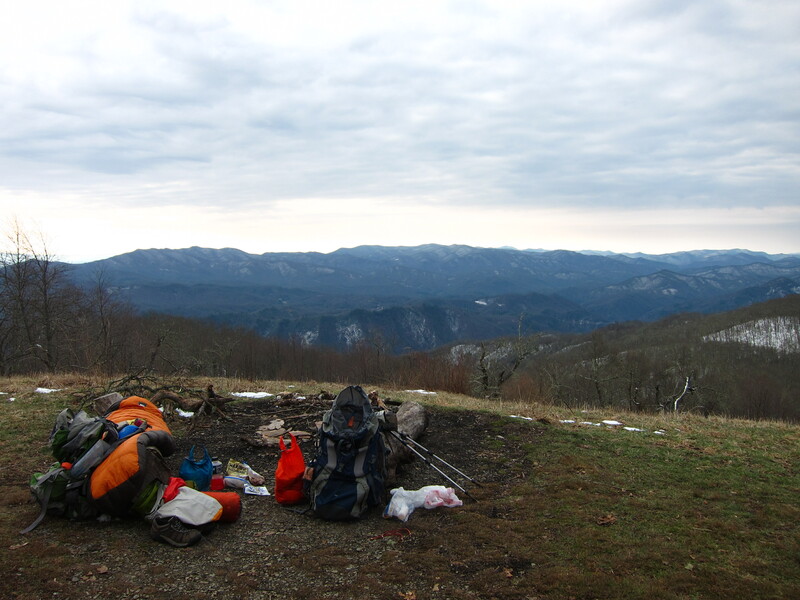 But, we wanted to wait and see for ourselves as thru-hikers. 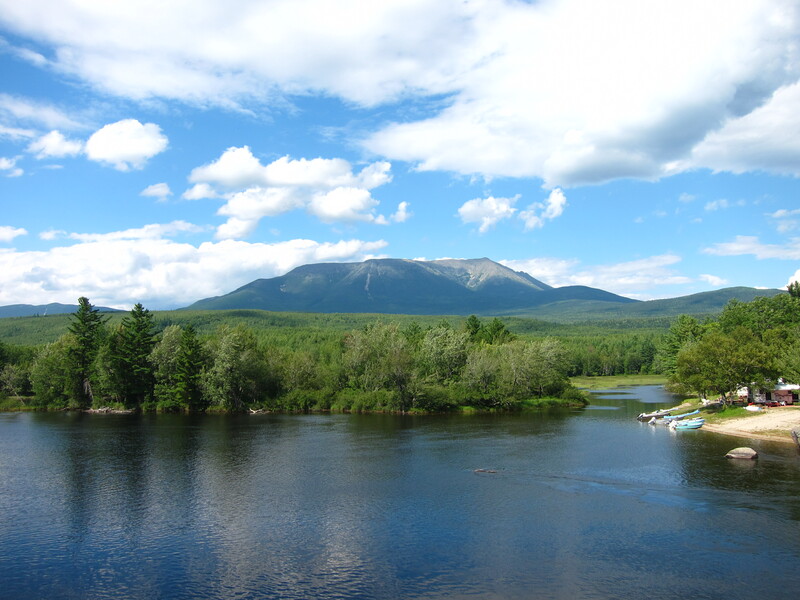 Maine won in the end because of its all-around beauty, abundance of streams, rivers, ponds, and lakes, remoteness, and so many mountains that we could call our favorites. 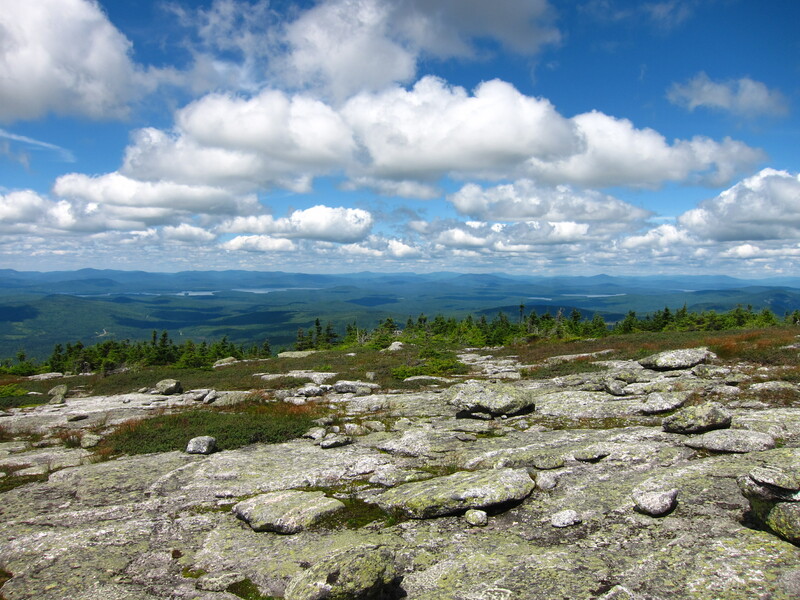 There are several reasons that we are proud to live in Maine, and the mountains of the AT in our state are one of them. 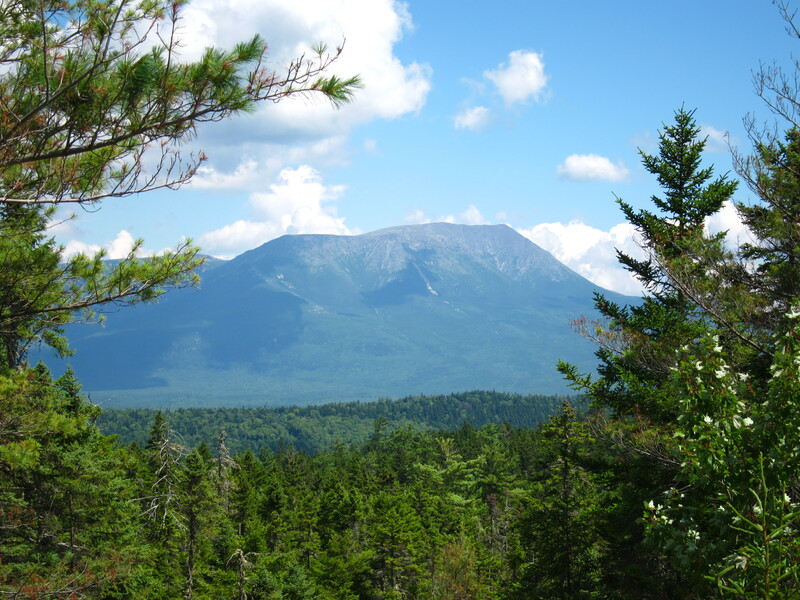 Contemplating the end of a thru-hike with Katahdin in the distance. And there you have it, folks. 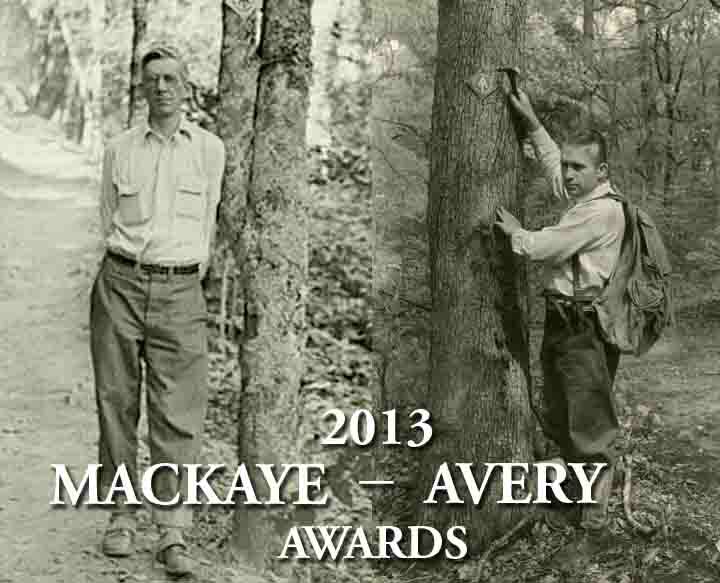 The long-awaited 1st Annual MacKaye-Avery Awards. We’re pleased with the results and we hope you are too. I’ve told you many times and here it is again, I am so proud of both of you. It was such a pleasure to meet you and to follow you on the trail thru your journals. One more award from me: “The best AT Trail Journal Award”. 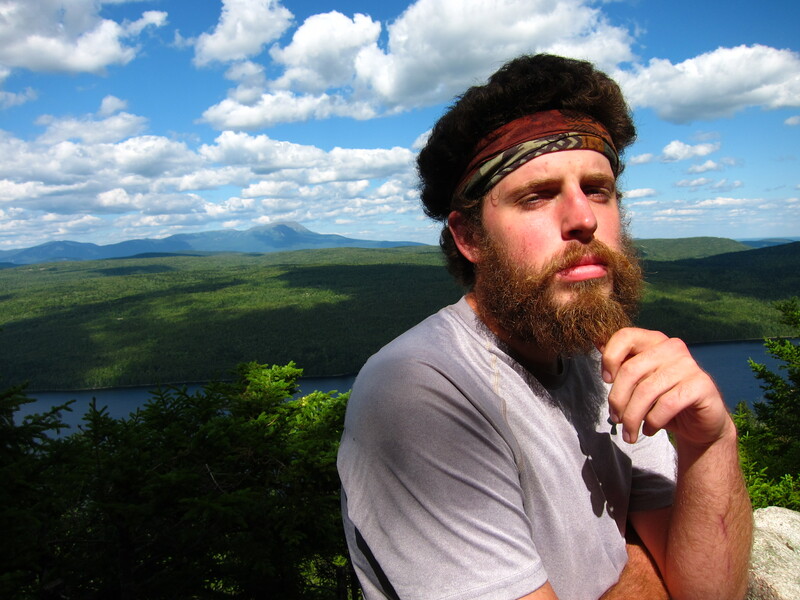 I tell everyone if they really want to read a good thru hiker’s journal to read yours. Thanks for providing me a few chuckles with my breakfast this morning. 🙂 Good luck and love to both of you.